Home / Unlock Huawei E5330 & E5330As-2 Wi-Fi Mobile Router? / How to Unlock Huawei E5330 & E5330As-2 Wi-Fi Mobile Router? by Sunil Jadhavar on October 17, 2016 in Unlock Huawei E5330 & E5330As-2 Wi-Fi Mobile Router? Huawei has released its new gadget dubbed as E5330 mobile Wi-Fi router in Russia and in other countries. You can find Huawei E5330As-2 modem in Russia. Recently, I had written about “unlocking of Huawei E5336 3G mobile Wi-Fi router“, today I will share in details “how to unlock Unlock E5330 & E5330As-2 Wi-Fi Mobile Router to use another network provider sim?”. Make sure your Huawei E5330 (E5330As-2) is fully charged. Just insert a nonacceptable Network sim on your E5330As-2 mobile WiFi router. 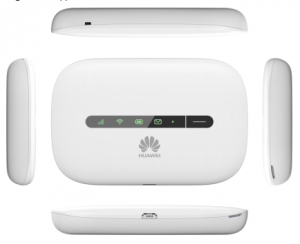 Now just establish a WiFi connection to Huawei E5330As-2 mobile WiFi router with your PC / IPAD / IPHONE / Android Device. Connect your Huawei E5330As-2 Router with PC and go to or and login to your device’s dashboard at or . Go to Advanced Settings – SIM Settings – Unlock Device – Enter Unlock Code – Click on Apply. Open your Settings – Dial-up – Unlock SIM card – Enter 8 digits unlock code in your E5330As-2. Click OK and the device will reboot to display the new network. Now your Huawei E5330As-2 Mobile WiFi Router is unlocked forever. Now you can enjoy your unlocked Huawei E5151s-2 Tre Italia Mobile WiFi MiFi Router with all network all over the world. Note : Don’t try to insert wrong codes into your Huawei E5330 / E5330As-2 WiFi Router, otherwise Huawei E5330 / E5330As-2 WiFi Router will be locked permanently. You can purchase from any server or contact unlockcode2016@gmail.com to get unlock code for your Huawei WiFi / MiFi router in only 6$. Tags # Unlock Huawei E5330 & E5330As-2 Wi-Fi Mobile Router? Unlock Huawei E5330 & E5330As-2 Wi-Fi Mobile Router? Labels: Unlock Huawei E5330 & E5330As-2 Wi-Fi Mobile Router?